First of all and most important I want to congratulate Peter Seidel. In the race we all race (called life) he transitioned into a new phase becoming father of a cute son. His name is Bruno and we welcome him warmly on our small planet. 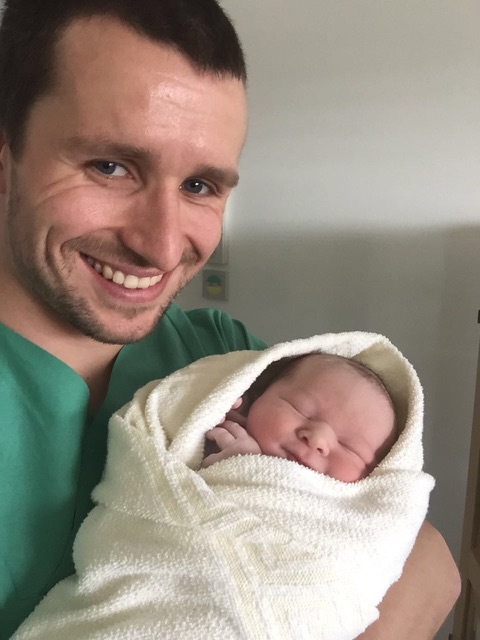 All the best for Peter and his young family. 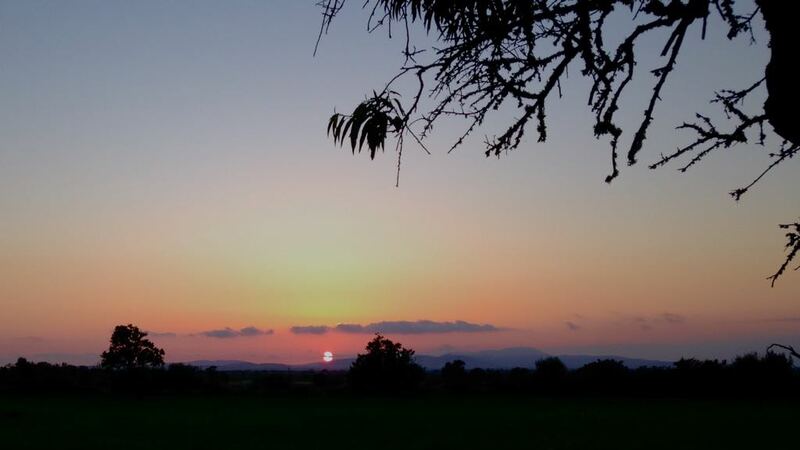 During the winter months I’m living on Mallorca. 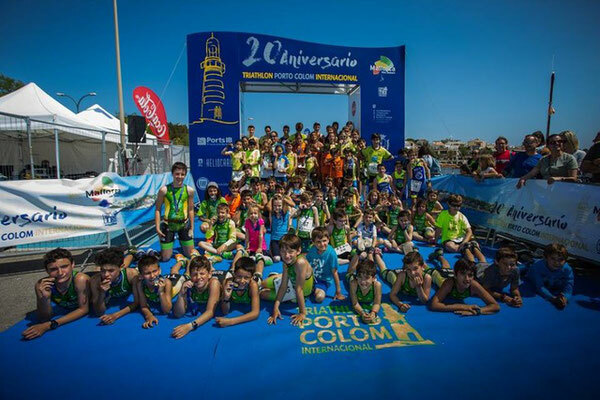 During the past 3 years we have built a great trainingbase here and the local Triathlon Club Portocolom is supporting us a lot. To give something back I sent 5 of my athletes to the European Season Opener Triatlon Portocolom. 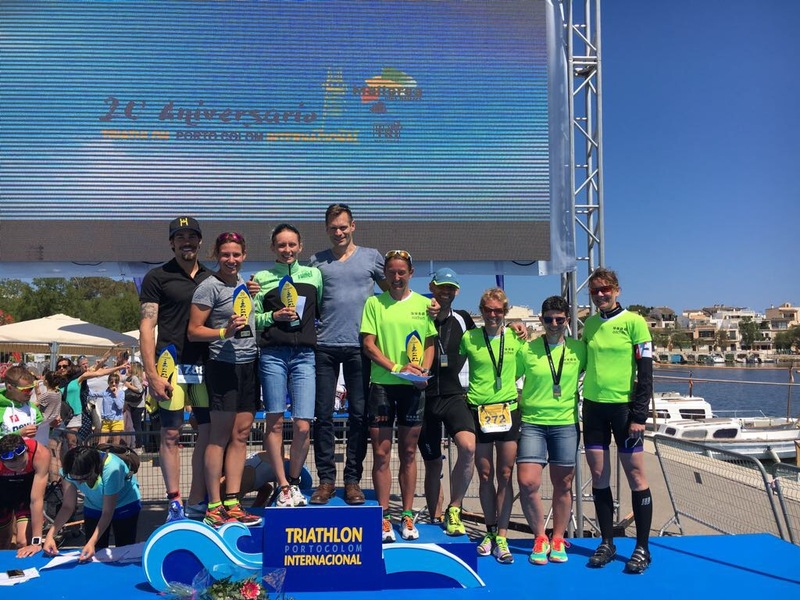 It’s nothing less than a spectacular race: The swim takes place in the scenic natural harbour of Portocolom and the bike course is challenging everything from you. Over 50kms you have 750 meters of climbing and on the long distance you even have double. 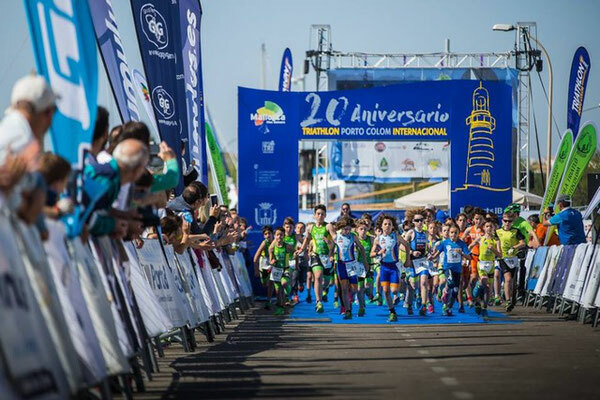 The highlight of this race is climbing Sant Salvador - one of cyclist's most favourite mountains on this Island. 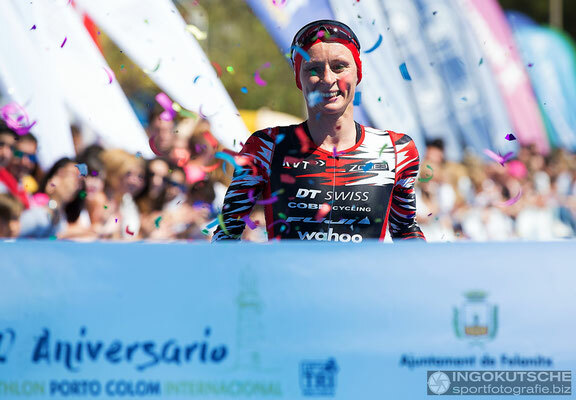 You can choose between the short distance 55.5 (500m swim, 50km bike, 5km run) and the long distance 111 (1km swim, 100km bike and 10km run). 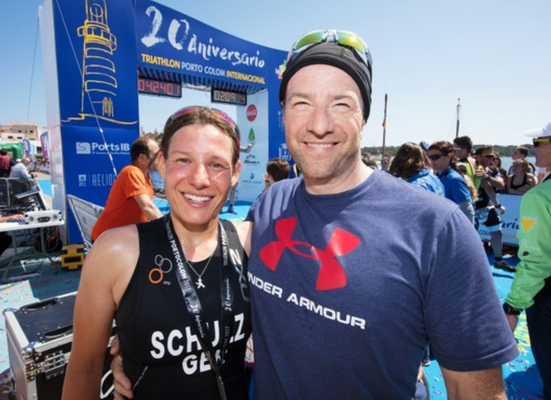 I sent two of my girls (Jenny & Steffi) and Moritz on the long distance. Additionally 3 athletes joining my training camp before were doing a relay team. Since Diana and Markus caught a flue just two weeks before the race, I had them race the short distance „only“. 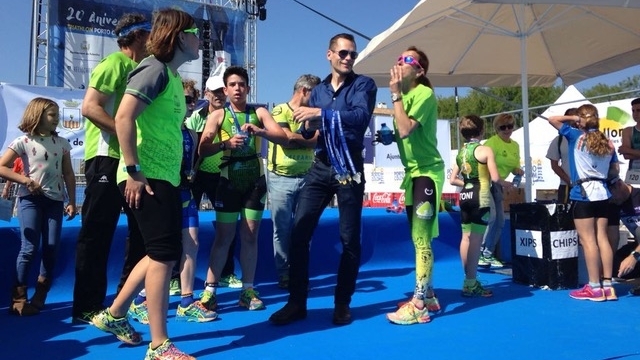 The day before the race I had the honour to give medals to the kids at the Portocolom Kids Duathlon. It was great to see so many talented kids having fun racing and it is just incredible how hard they can go. 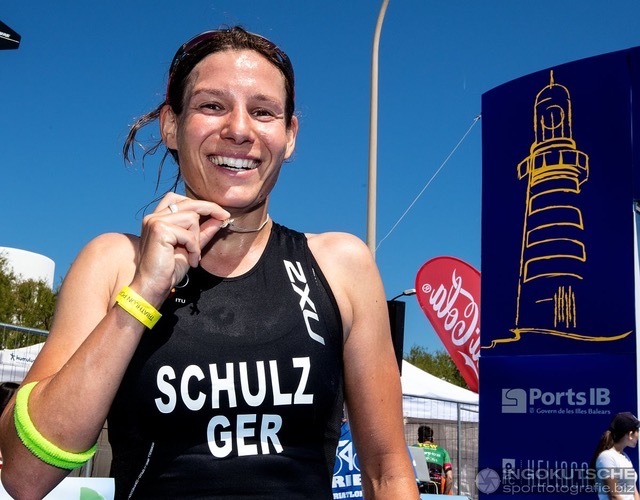 My professional German girl Jenny Schulz had a bit of tough luck. Since I’m watching Spanish races I’ve never seen any penalty for drafting on the bike course. But somehow Jenny managed to get her ever first penalty (5min) and at the end those 5mins were missing to take the win. Nevertheless Jenny kept calm and finished it off with a solid controlled run. We were looking for a first form test and a race specific training effort and that was exactly what we got out of that race. If that makes for 1st, 2nd or 10th place, I don’t car. I’m very happy with Jenny's performance. 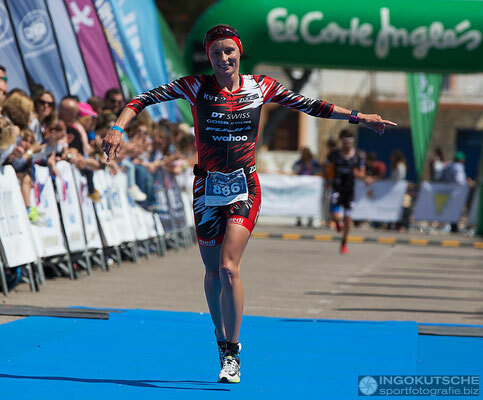 It was a very good start into the Triathlon season for her and we are looking forward to the next race where she can show her improvements even better! Markus Hörmann had a very long and stoney way back. Mid of last year the doctors diagnosed a hip impingement and said he won’t be able to ever race again. Over the last months we worked really hard in terms of getting him slowly back on track and the 55.5 Portocolom was the race where we wanted to have a first test. 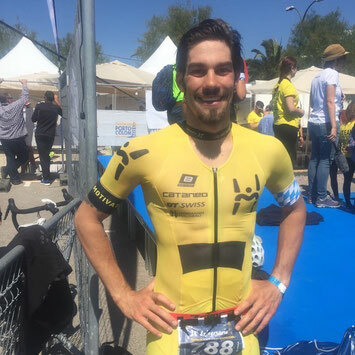 In all 3 disciplines he showed that our work is paying off and that he is not only back to professional racing but much more important to full health. 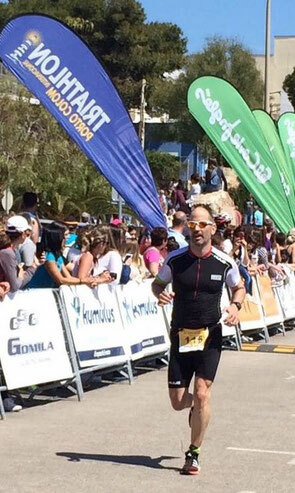 Markus finished 2nd just 1:30mins behind a very strong racing Thomas Steger. Moritz Bachmann was just arriving the evening before the race. Moritz wanted to race the 111 again because last time he had a flat tire and was only able to fix it after a very long time, which totally screwed up his race. This time he did it much smarter than last year and had the flat tire already on his last ride the evening before the race. We (well: me) quickly fixed that and saw it as a sign that he would stay free of mechanical issues during the race. At the end he did very well and could enjoy the race without any flat tire. I was very happy to see him flying easily over the course, earning the rewards of all the hard training work he put under his belt during winter months. My special case this weekend was Diana Riesler. She knocked herself out for two weeks because of a flue and even the day before the race we doubted that she will be able to start. On race morning I sent her for a swim session to the pool - like on every ordinary training day. After that session she said: "Maybe it’s ok to start. It won’t be my best race but I want to try and not let down our local club Triathlon Portocolom.“ A good decision as it turned out! She not only won the race, but was just smashing everything. Set a new bike and race record, became 13th overall in a strong men’s field. Although it didn’t look like that the days leading up to the race, it was the best start into her season we could have hoped for.